No Muss No Fuss for Mom. We do all the work and your child and friends have all the fun. 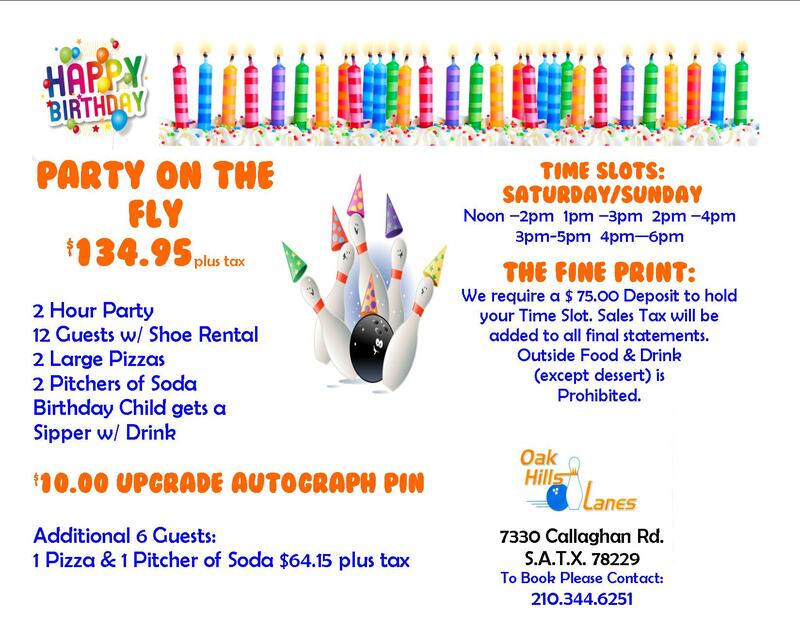 Welcome To Oak Hills Lanes, San Antonio’s most family friendly and inviting bowling and entertainment center, featuring great kids and teens birthday parties. We provide everything you need to make your party a memorable experience. From party favors to food and beverage options to paper goods, our expert birthday party experts will take care of everything from table set up to clean up. At Oak Hills lanes, You Never Have To Fret Or Worry. No Muss. No Fuss.